WeWantApps! 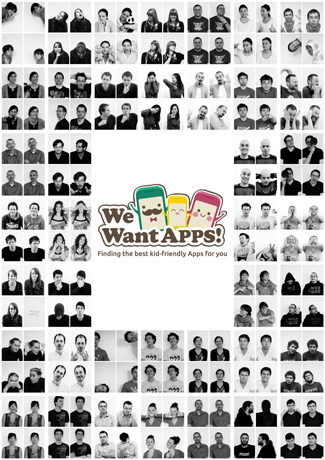 is a great way to quickly find apps that are appropriate for kids of all ages. You can also share your finds with family and friends as well as seeing theirs! We all know there are tons of apps in the store. Many have the types of hurdles we point out on our Parents Page. It is nice to know that someone is really looking at these apps. You can search Apps by criteria such as age, category, language, platform and whether it is a free or paid app. There are daily App-Recommendations on one tab that shows apps that have been throughly checked out by their team. More good news, the app itself is free! This app is presented to us by Goodbeans GmbH. Choose the Age, Category, Platform, Language, and Price! Share with Twitter, Facebook, or Email! Share Your Favorites and Check Out The Daily App! BookMarking and Checking The App in Itunes! Check Out The Company Website! There are over half a million apps in the iTunes Store and although users can look at the top 10 lists in iTunes, kids apps that are worth downloading rarely make it to those ranks. The same apps continue to be in the top 10 lists so you don’t get inspiration for new titles. And so many mothers and fathers have asked us for recommendations of good Apps – we now have an official answer! On the App Store, there are a lot of fun, child-friendly apps that avoid overloading the senses and even have an educational effect. Or there are Apps that use common children’s games and fairy tales in such a great interactive way that one can use them in any situation to pass the time in a meaningful way. Unfortunately, there are also a couple of Apps whose contents are not at all suitable for children. In the development of WeWantApps! it was therefore an issue of key importance for us that the Apps reviewed respect strict quality factors. Parents can be rest assured that they and their children will be offered only the best! First of all, we love how easy it becomes to find appropriate Apps for children by simply clicking the relevant search criteria. Our favorite aspect of the app is “the social feature”. Being aware that the best recommendations always come from people we know, we have integrated a social function into the WeWantApps! search tool. The user can connect with other parents and exchange tips, mark apps they like, view the apps liked by others and follow users with similar interests in order to find the perfect App for their children. With the integration of “social features” WeWantApps! allows parents to share their favorite Apps with and follow with similar interests, thus making the discovery of new Apps even easier. “WeWantApps! 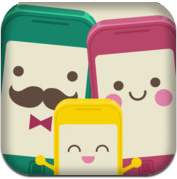 is simply a must have for app enthusiastic families! We put a lot of love and effort into its development and we truly believe it will soon be one of your most trusted and central Apps. And since WeWantApps! 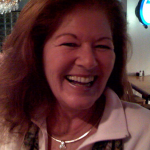 is free of charge you can download it without a second thought and convince yourselves about its great qualities” – so Cindy Richter, Product Manager of WeWantApps! and CMO of goodbeans GmbH.